This week I had a conversation with two of my colleagues who are part of the Global Platform Engineering team, Rory and Marilyn. I had spoken with them before on this topic, but at that point, they weren’t quite ready to go all out just yet, but now they are. Rory and Marilyn and their team developed this great platform for product experiences and PoCs, called TestDrive. The platform was initially launched for EUC, and is now being expanded to include other solutions like vSAN, NSX and PKS to name a few. 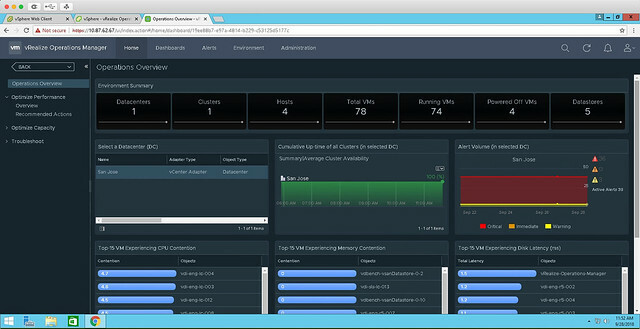 Back in March of this year, they launched the vSAN experience as part of the Modernize Data Centers solution track. My first question to them, of course, was: what is unique here? We have the VMware HoL for people externally and we internally have OneCloud (field) and Nimbus (dev), why would I use this? 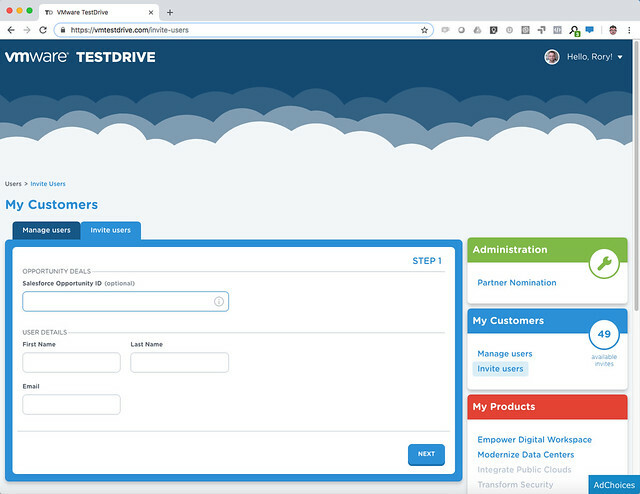 The answer was straightforward: TestDrive is the only place you can see VMware products in a real-world, high performance environment, as close as possible to how our customers would deploy. Everything is built on bare metal using VMware’s reference architecture and best practices, and the experience is fully configured and ready to go, you just jump in and start using it. This environment is hosted in the cloud (Softlayer) across all regions (US, EMEA, APJ) and there’s accompanying walkthrough guides to follow or you can also do some freewheeling. Of course, you can’t wipe the environment, so there are some constraints around what you can test. 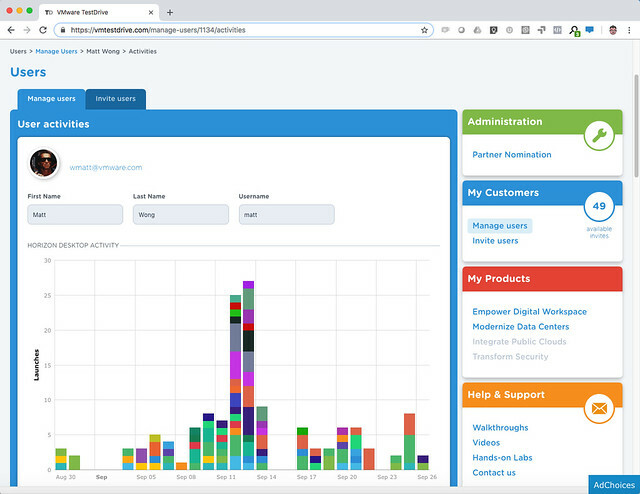 What they end up testing is then tracked as well, so as a partner or VMware employee you can keep track and follow up when required. 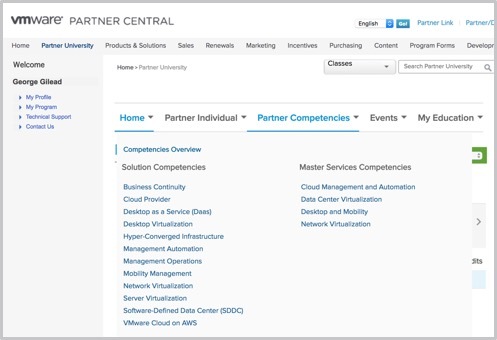 For Partners to sign up you need to be accredited with the VTSP HCI competency, available at no cost from VMware Partner Central. Simply log in, navigate to Partner University to subscribe to the Hyper-Converged Infrastructure accreditation training.